If you remember my previous post about iQueen.my, you'll probably figure out that I just couldn't resist buying a few things from them! Before I could do so, I was sent these few items to try out! Everything is precariously packed in bubble wrap, even the tiny loose masks pieces. Kudos to them for taking extra care of the products! 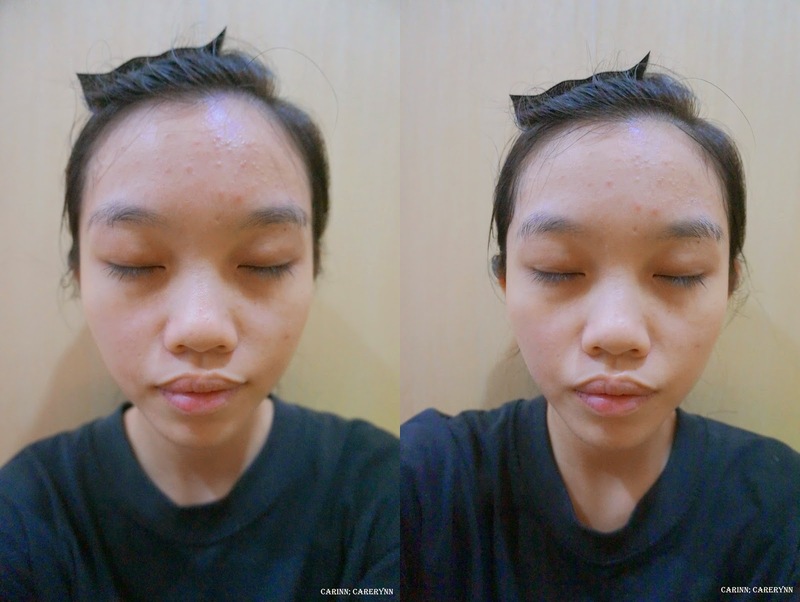 These were the items that I got to try out from iQueen.my - Simply Barley & Simply Red Bean drink and a few variety of Ludeya Microneedles Bio-cellulose masks, endorsed by Taiwan artist, Selina and beauty guru, Kevin! Ludeya Microneedles Bio-Cellulose Masks are all the rage in Taiwan because of their unique texture and effective functions. Ludeya was established in Taiwan in 2003 by a team of elites from Korea, Japan, Europe and USA as a highly effective and authentic dermatological beauty solution. All Ludeya products consists of non-artificial colourings, fragrance, preservatives and are hypo allergenic to suit all skin types. After winning many awards and offering a huge range of trendy, technologically-advanced and high performance products, Ludeya sets out to provide affordable luxury skincare for people who demand excellence and perfect skin! One piece of bio cellulose mask requires 21 days of fermentation at low temperatures, through a process called Bio Fermentation Skingel. The masks are derived from various algae extracts and is equivalent to 7 pieces of normal bio cellulose masks that are normally derived from coconut. One piece of Ludeya Bio Cellulose mask is 10 times more effective than a normal sheet mask! With its exclusive and patented ingredient, SEANOL that was derived from more than 10 types of algae and using Micro Needle technology, this mask helps to promote skin collagen recovery. With added botanical essential essence combined with the different Algae Polyphenol Extract as the active ingredient and polysaccharides, one can enjoy the pleasant natural botanical scent and relax while your skin is being nourished. All ingredients are clinically proven and tested to be mild and effective so it doesn't stimulate the skin. There are a few variants of the Ludeya mask and I set out to try a different one once a week. This black packaging Ludeya Microneedles Ludeya Bio-Cellulose mask is used to enhance skin repair, improve firmness & elasticity, hydrate the skin and unclog pores. Unlike most sheet masks, the black variant of Ludeya mask has a cream serum! 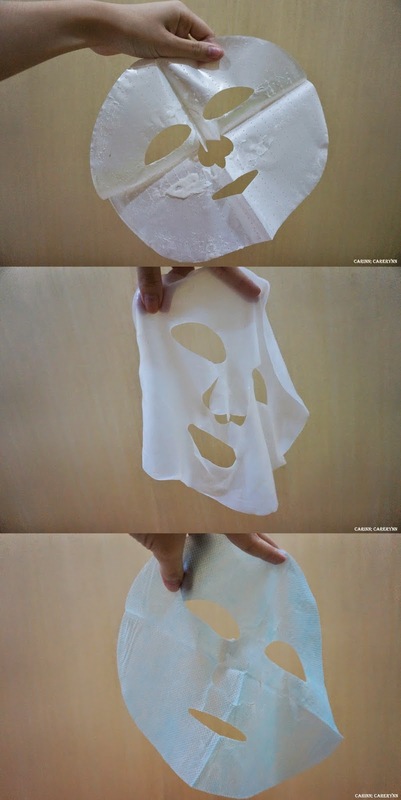 To be honest, it's quite tedious to use this mask there are 3 layers to it - the silvery plastic layer, the mask in the centre and the blue layer that you remove after you put on the mask. This masks feels like coconut flesh! HAHA. Bio cellulose has been known to treat burn patients and is commonly known as "artificial skin" in the medical industry because of its structure that is similar to human skin and because it completely bonds with the skin to effectively reduce skin sensitivity and deliver nutrients deep into the skin. S.H.E Selina used Ludeya Bio Cellulose Mask for 2 years before being an ambassador of the brand after seeing how well it has helped her skin to recover after the burning incident a few years back. To use, place mask over a thoroughly cleaned face and leave it on for 10 - 15 minutes. Then, remove the mask and gently pat in the remaining serum into the skin with your fingertips. After that, proceed with your usual skincare routine to lock in the nourishing ingredients. The mask's material is really adhesive and adheres to the face well! Nutrients can then effectively penetrate deep into the skin. It is strong, yet gentle and doesn't tear easily as well. I have a small face, so there were some excess at the side and the cutout where the mouth is supposed to be is a little small, but otherwise, it fits great! It doesn't slide off the face as easily as most face masks. I chose to use the black Ludeya mask first because I had some scars on the side of my face from a previous facial that I did. Glad to say that the mask really helped to soothe my red skin and definitely helped in promoting the recovery of the scars! You can get this Ludeya Microneedles Bio-Cellulose Mask - Brightening Moisturising from iQueen at RM22.90. This mask is meant for all skin types and is perfect for improving skin tone and contains triple whitening effects. The mask is similar to the black Ludeya Bio-Cellulose Mask and uses a cream-type serum as well. Not sure if it's obvious but there is an instant whitening effect. The mask has also lightened up the acne marks on my forehead, as you can see. You can get this Ludeya Microneedles Bio-Cellulose Mask - Hydro White Moisturising from iQueen at RM22.90. The pink variant of Ludeya mask helps to provide optimum hydration, repair dry skin problems and keep the skin soft, supple and moisturised for long hours. Unlike the other two masks, the pink Ludeya mask uses the usual liquid serum. The pink Ludeya mask feels extra moisturising on the skin. It felt slightly sticky after use, but after patting it into the skin, my skin feels more hydrated and fresh. You can get this Ludeya Microneedles Bio-Cellulose Mask - Rejuvenating Moisturising from iQueen at RM22.90. Final thoughts? I find this Ludeya Microneedles Bio-Cellulose Mask range very useful for people with dry skin that flakes frequently, like me. The masks doesn't stimulate my sensitive skin and I'm really impressed by how cool the bio cellulose feels and sticks to my skin. 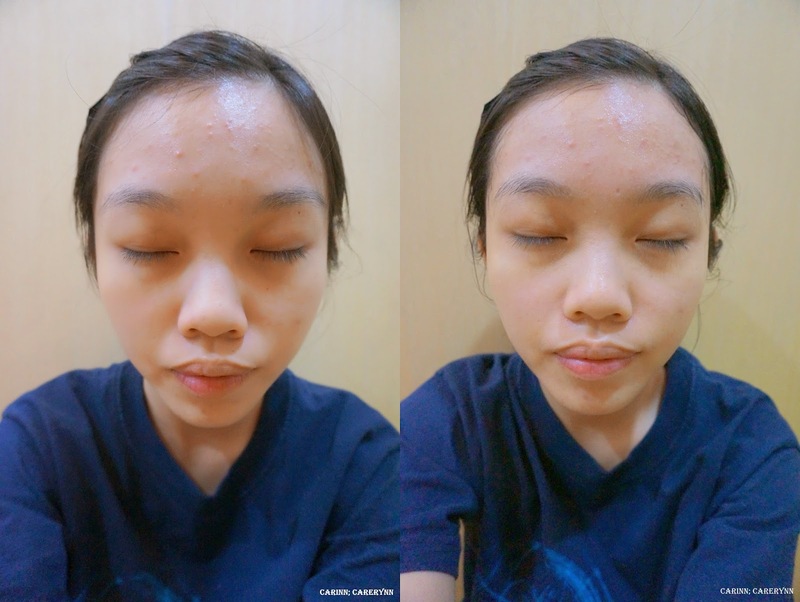 The masks have a pleasant smell and it's really interesting to use a cream-serum mask instead of regular ones. 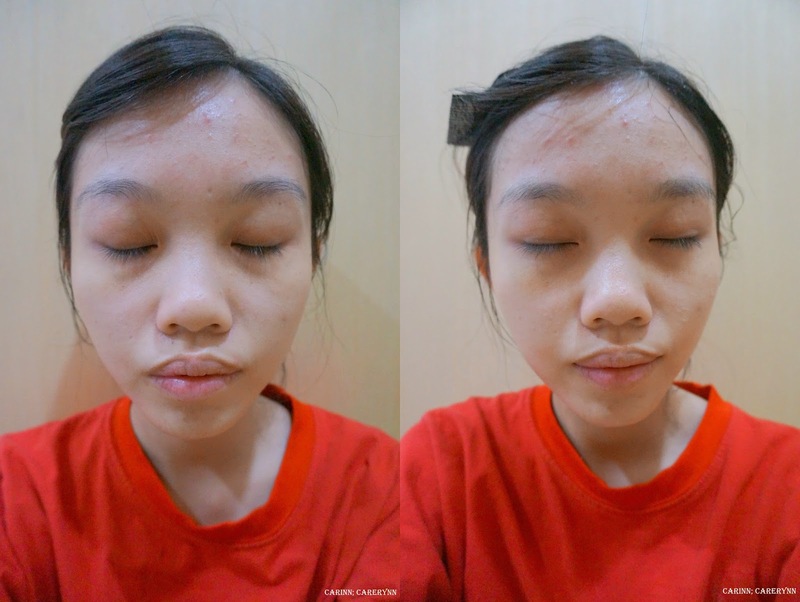 I even applied the excess serum like moisturiser or serum on my limbs after each use. Each mask doesn't have much of a difference to me and the price point is quite high, seeing as it's only one sheet per box. Other than that, I would highly recommend this mask for people with severe skin problems! You can these Ludeya Microneedles Bio-cellulose Mask for RM22.90 each at iQueen, and there are other colours available for various uses. This range is the most affordable and is currently at 15% discount at only RM19.57, with a FREE Ludeya 2 Step Mask with each purchase! They say beauty comes from within, so it's important that we take care of our health before that radiance shows on the outside. Simply Drinks is an all-natural drink that can keep you young and provide vitality & effective body care from inside out. It has been said to have awesome metabolic effect! There are three natural guarantees with this product - zero detectable pesticide, zero heavy metals and zero detectable preservatives. With no colouring, flavour, fragrance, seasoning or antioxidants, being sugar-free and ultra-low calorie, this drink is the perfect addition to your everyday consumption for better health. There are 15 sachets in a box. One small sachet a day is all you need. Each sachet is small, making it easy to carry around and is a delicious way to improve drinks such as plain water, milk, juice, anything you can think of! The instructions are pretty straightforward. Just pour the contents of the sachet and mix it with some water. Stir well and consume. Simply Red Bean Drink is made of natural organic red bean that were naturally extracted in its concentrated form. There are no pesticide and no additives whatsoever. Red bean is said to eliminate edema, promote metabolism, enrich the blood, relieve menstrual pain and improve PMS, detoxify and gives you a natural rosy, glowing complexion. With heightened metabolism, it can effetively reduce water retention, enhance body stimulation and effectively reduce weight. Simply Barley Drink is made from natural organic barley, which is known for its whitening effect. Not only does it have similar features as the red bean drink to help lose weight, it helps you to achieve flawless translucent skin, moisturise the skin and eliminate edema. Barley is said to contain high amounts of Vitamin C to help you effectively whiten skin from top to toe and lighten dark spots. The tiny bits of red bean and barley residue shows just how natural the drinks are. As both drinks are not added with any sugar, they taste fairly plain with mild hints of red bean or barley.The good thing is, it is also versatile so you can add it to your favourite drink, even Milo, coffee or tea! You can have it served hot or cold, any way you like! My thoughts after trying out both drinks is that the flavour isn't the most appealing. 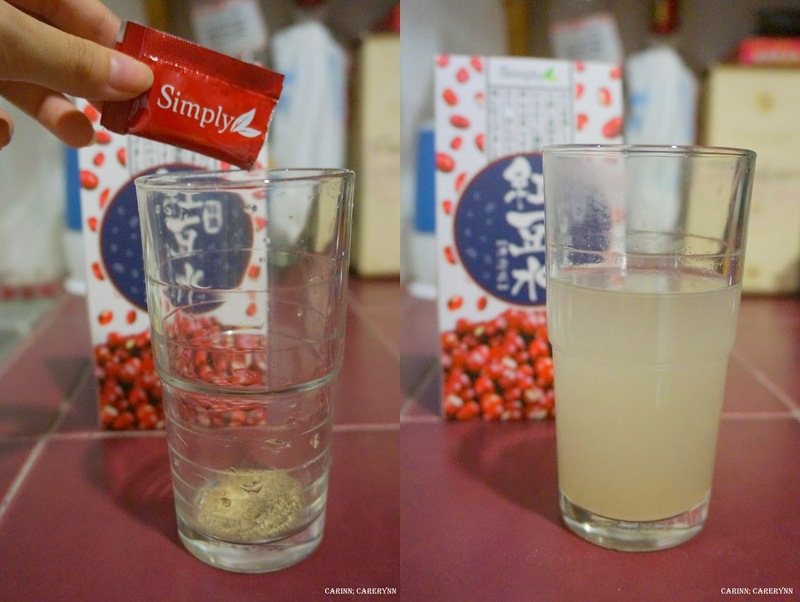 It basically tastes like water with mild smell and taste of red bean or barley. To make it more bearable, I sometimes add it to my fruit juices or add just a little bit of sugar. I personally prefer the taste of the red bean drink more as it's really light and refreshing. 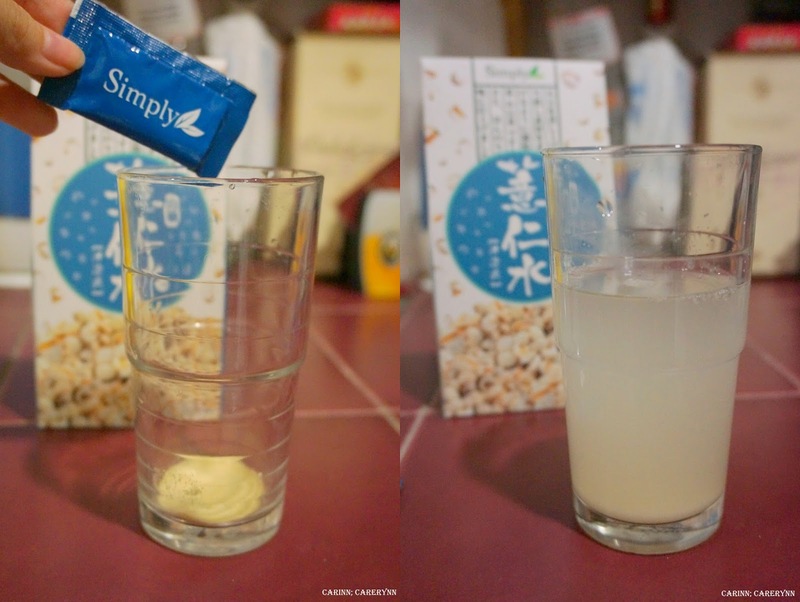 I'd love the barley drink more if it had real bits of barley in it like those we usually cook though :p As I don't drink the two drinks consistently nor do I need to lose weight or whiten my skin, I would say the drinks are more suitable for me as a health booster. It's also a good way to make me drink more water. Heh. Of course, if you take it regularly and for a long time, the effects might be more obvious. You can get these Simply Red Bean and Barley Drinks from iQueen at RM29.00! There are only a few items left in stock, so be fast! Disclaimer: Even though the products were sponsored, it does not affect my opinion in any way. The review is based on my honest personal thoughts, experiences and preference after trying out the products. Effects may vary depending on the individual. Good haul! I think the lightening mask might take a few more times for it to actually work very well. But Taiwanese products are quite the bomb these days. You're right. I personally prefer hydrating masks to whitening ones though :) Thanks for dropping by!